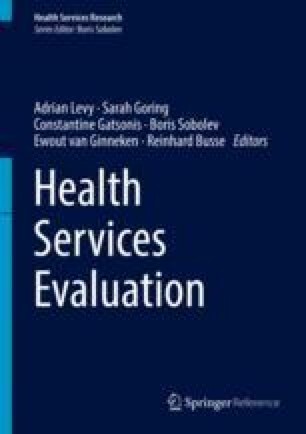 This chapter reviews statistical methods for the analysis of longitudinal data that are commonly found in health services research. The chapter begins by discussing issues inherent in longitudinal data and provides historical background on early methods that were used to analyze data of this type. Next, mixed-effects regression models (MRMs) and covariance-pattern models (CPMs) for longitudinal data are introduced with a focus on linear models for normally distributed outcomes. As an illustration of the use of these methods in practice, MRMs and CPMs are applied to data from the Women Entering Care (WECare) study, a longitudinal depression treatment study. Finally, extensions and alternatives to these models are briefly described. Key phrases: mixed-effects models; random-effects models; covariance-pattern models; effect sizes. The authors wish to thank Jeanne Miranda for use of the WECare data. Dr. Siddique’s work was supported by grant K07 CA154862-01 from the National Cancer Institute and R03 HS018815-01 from the Agency for Healthcare Research and Quality. Dr. Hedeker’s work was supported by Award Number P01 CA098262 from the National Cancer Institute. Dr. Gibbons’ work was supported by R01 MH8012201 from the National Institute of Mental Health. The content is solely the responsibility of the authors and does not necessarily represent the official views of the National Cancer Institute, Agency for Healthcare Research and Quality, or the National Institutes of Health.